Oddly enough, a ponytail palm tree is neither a palm nor a tree but is a member of the Agave family and is actually a succulent. 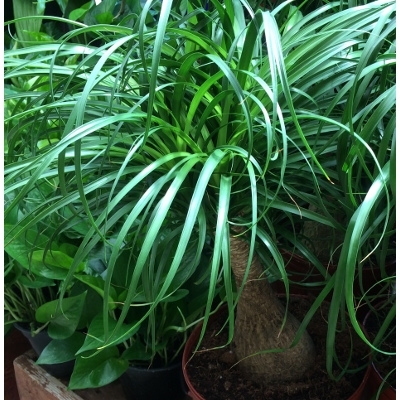 Typically Pony Tail Palms need bright light but will also tolerate partial low light. As a succulent, it grows best in semi-dry conditions and when grown as a houseplant, the soil should dry out significantly in between waterings.